*Authorized Bona Flooring Dealer* Kevin Reyes is a native of the NW raised on Whidbey Island, WA. Since the age of 18 Kevin found that doing wood floors was a great fit for him. The artistic yet hard work required allows for creativity and a motivated work ethic that results in beautiful floors. Kevin applied himself on homes and estates throughout the San Juan Islands, Whidbey Island and Anacortes before heading to the Seattle market in 2006. Kevin started Element in 2006 with the goal to keep delivering awesome floors while learning and applying new techniques and better methods of sanding, finishing wood floors. Instead of applying a "one size fits all" method, Kevin views each floor as an opportunity to create something that is special and fits all of his customers unique vision of their floor. He even took a position with the worlds largest floor finish manufacturer (Bona) from 2013-2014 to gain more knowledge and experience with the actual science behind it all. Traveling, training, viewing production and rubbing shoulders with the industries leading experts only made Kevin more passionate and prepared to deliver this most visually satisfying work. Aside from doing floors which is Kevin's work and hobby he enjoys staying active, being with his wife Sally and daughter Simone and of course watching the Hawks. The Flooring Experts of Benton County Since 1992! 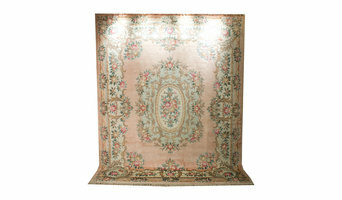 WeaversRugs.com offers the largest selection of Authentic Hand-Made Rugs Online! 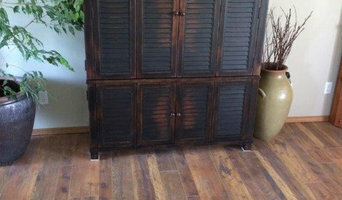 Pacific County's Top Hardwood Flooring Dealer - Best of Houzz! Welcome to Tacoma Floor Coverings International. We are a leader of in-home design and carry top of the line products. Our company takes pride in our custom craftsmanship and merchandise selection which enables us stand above our competition. The product selection covers all types of flooring & window treatments for any design need. 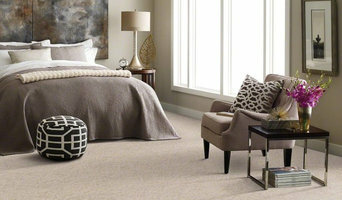 We are experts in residential and commercial carpet installation and repair. Customer service is a top priority for us, with a 11 year business record in Snohomish county and surrounding areas we are proud of our staff and reputation. We offer carpet of the highest quality at very competitive prices. Family owned and operated by Seattle natives. Warehouse pricing with access to a showroom . Morris Floors & Interiors Inc. Whether it's getting your home remodeled or fixing the damage that's been done to your home, we're here to help you every step of the way. At Emerald City Carpet Repair, we've built our livelihoods on expert carpet repair service! We focus on carpet re-stretching, carpet patching, carpet burn repair, and more...!!! Whether your Hardwood floors need Refinishing or in need of fixing damaged areas or if you are wanting to have beautiful New Hardwoods installed we're here to help you every step of the way. A Team Hardwoods LLC has been in the Hardwood Industry Over 17 Years, so we really mean it when we say we're here to give you a quality floor you will enjoy for years to come. A Team Hardwoods LLC we've built our livelihoods on giving our customers a floor they will be happy with for years. From the simple to the lavish, we've experienced it all and we can help you every step of the way. No job is too small or too big for our knowledgeable Team. USA Clean Master is the perfect solution for your house & office cleaning needs, from carpet cleaning to air duct cleaning our experts will take care of it all. Call us now for more details. High Point Flooring's newly expanded 1200 square foot flooring showroom located in Bothell, features hundreds of carpet, tile, granite, marble, slab counters, vinyl, laminate counters and floors, site sanded and pre finished hardwood floors as well as radiant heated flooring and much more. Come visit us today and meet with one of our flooring specialists to assist you in choosing the right products for you. 10% Off - Mention Houzz!